AppStream deploys and renders your application on AWS infrastructure and streams the output to mass-market devices, such as personal computers, tablets, and mobile phones. Because your application is running in the cloud, it can scale to handle vast computational and storage needs, regardless of the devices your customers are using. You can choose to stream either all or parts of your application from the cloud. Amazon AppStream enables use cases for games and applications that wouldn’t be possible running natively on mass-market devices. Using Amazon AppStream, your games and applications are no longer constrained by the hardware in your customer’s hands. Amazon AppStream includes a SDK that currently supports streaming applications from Microsoft Windows Server 2008 R2 to devices running FireOS, Android, iOS, and Microsoft Windows. A Mac OS X SDK is planned for 2014. Remove Device Constraints- You can leverage the compute power of AWS to deliver experiences that wouldn’t normally be possible due to the GPU, CPU, memory or physical storage constraints of local devices. Multi Platform Support- You can write your application once and stream it to multiple device platforms. To support a new device, just write a small client to connect to your application. Easy Updates- Because your application is centrally managed by Amazon AppStream, updating your application is as simple as providing a new version of your application to Amazon AppStream. That's all you need to do to immediately upgrade all of your customers without any action on their part. Instant On- Streaming your application with AppStream lets your customers start using your application or game immediately, without the delays associated with large file downloads and time-consuming installations. 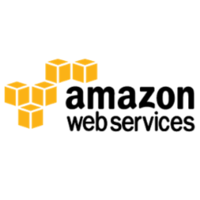 Improved Security- Unlike traditional boxed software and digital downloads, where your application is available for theft or reverse engineering, Amazon AppStream stores your application binary securely in AWS datacenters. Automatic Scaling- You can use Amazon AppStream to specify capacity needs, and then the service automatically scales your streamed application and connects customers’ devices to it.